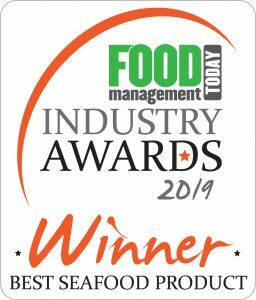 Grimsby’s JCS Fish has swooped the industry accolade of Seafood Product of the Year at the Food Management Today Industry Awards for one of its own BigFish brand products – for the second year in a row. 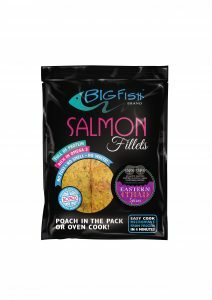 At the awards in London recently (31 January 2019), BigFish Salmon Fillets marinated in Eastern Thai Spices took the overall prize in the Seafood category, with JCS Fish also receiving commendations in the same category for three other products plus a finalist place for the Thai fillets in the Frozen product category. 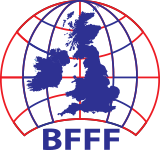 The Food Management Today Awards celebrate the ‘excellence, creativity and innovation’ of British food manufacturers. 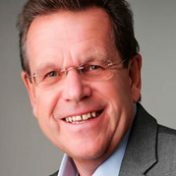 The awards shortlist is selected by readers’ votes before a panel of experienced judges evaluates those shortlisted products and chooses which ones should receive awards. The awards are presented at a lunch in London yesterday (31 January) by celebrity host and TV presenter, John Torode.